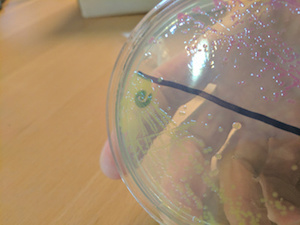 Scientists’ ability to create organisms through synthetic biology is getting easier and cheaper fueling the start of a new era in biology. Meanwhile, synthetic biology has already lead to some innovations such as lab-grown meat, advancement in medicine, and even helping to bring back extinct species. We have learned how to manipulate the code of life. Why this hasn’t received more attention is beyond me. Synthetic Biology is a multidisciplinary field that often defies definition. Yet despite its complexity, it is a remarkably easy field to apply once you’ve learned the science behind it. 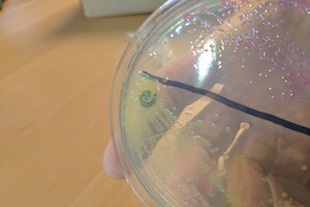 From a computer, you can input your desired genetic sequence, print it out, glue it together, put it into a cell and then watch whatever you have created sprout. Even more astonishingly is that it has also helped provide us with our best insights into how life on earth began, answering questions that have been with us from the beginning. Reason enough to learn a little more about it. The amount of people and money pouring into this field is growing incredibly fast. This is being further expedited by the emergence of DIY bio (do it yourself biology). Labs are springing up all over the world as the tools required are getting cheaper and more ubiquitous. Now almost anyone with a decent enough understanding of the subject can build their own synthetic biology lab and start hacking away at life. We have also recently discovered new bases that will allow us to do things we never would have dreamed of. All life that we know is made from DNA containing primarily four bases: A, C, T, and G. We have now added X and Y, opening the door for us to create things never before thought possible. We are already seeing some of what it can do. Lab-grown meat, de-extinction, new biochemicals and medicines, the list goes on and on. Before long it is believed that we will be able to synthetically recreate humans. We have been altering the genomes of various species since the agricultural revolution, the difference now is in our ability to select specific lines from the code of life and swap them or delete them or put new lines in. This will have a wide range of implications as we learn more about the roles of specific genes while also allowing us to direct and accelerate evolution. The 20th century saw a series of breakthroughs in our understanding of Physics that redefined what we were capable of. It brought about the atomic age, allowed us to explore our solar system, and opened up insights into the universe that fundamentally changed our understanding of reality. Biology seems to be experiencing a similar paradigm shift. It is allowing us to manipulate the building blocks of life and redefine the natural world, all of which will radically alter our collective fate. (72aH*) : August 6th is the anniversary of the atomic bomb explosion on Hiroshima in 1945. Thus, since August 6, 2017, we are in 72 aH, (meanning 72 after Hiroshima).